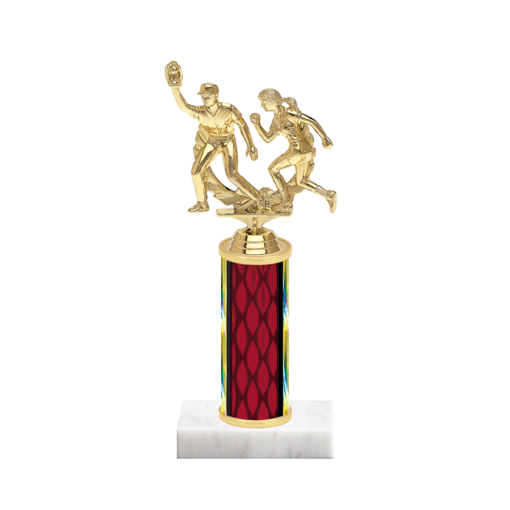 New and exiting 9" Softball Trophy options are right here at your fingertips! Our custom Softball Trophy design tool gives you the canvas on which to create a one-of-a-Kind Softball Trophy - with over 1000 options! Choose a Softball Figurine, up to eight different column colors and your choice of a white or black marble base. Be creative, as you choose NewlineTrophy.com, where the high quality and outstanding customer-service are second to none.